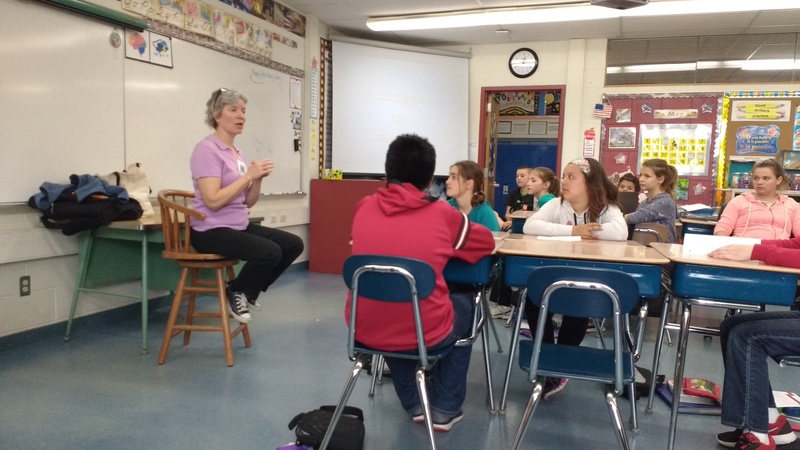 Raymond Elementary School Author Event Fun! 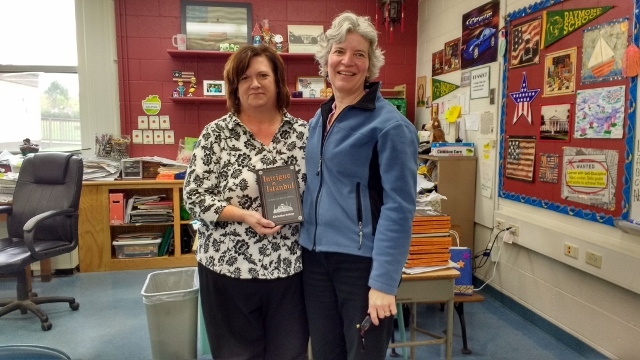 Had a great time in Jill Peterson’s two English classes on May 4th after they read Intrigue in Istanbul: An Agnes Kelly Mystery Adventure. 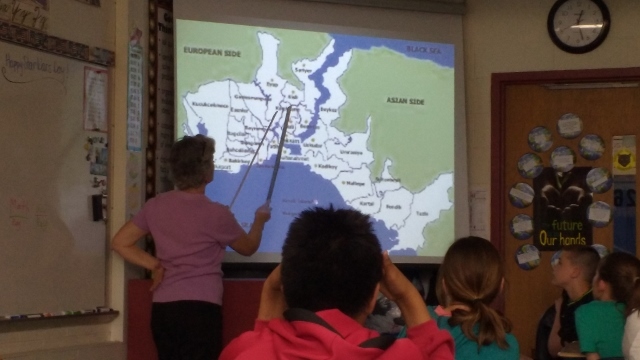 We talked about Turkey – where Agnes and her grandmother visit. I look very official – don’t I?! 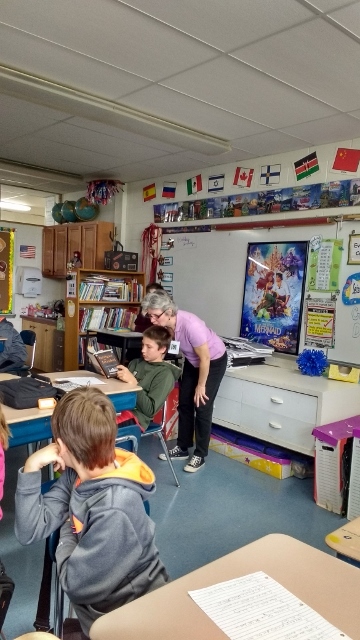 We do a little reading so I can illustrate how I use some of the photos they are seeing with my writing. Jill is such a wonderful teacher, I don’t understand how she keeps everything and everyone that makes their way to her desk, straight. The kids enjoyed the book – (here I sigh and wipe my brow) – and because they are all now official spies as is Agnes, I decided they needed a disguise. New Nancy Drew Event With Giveaways! 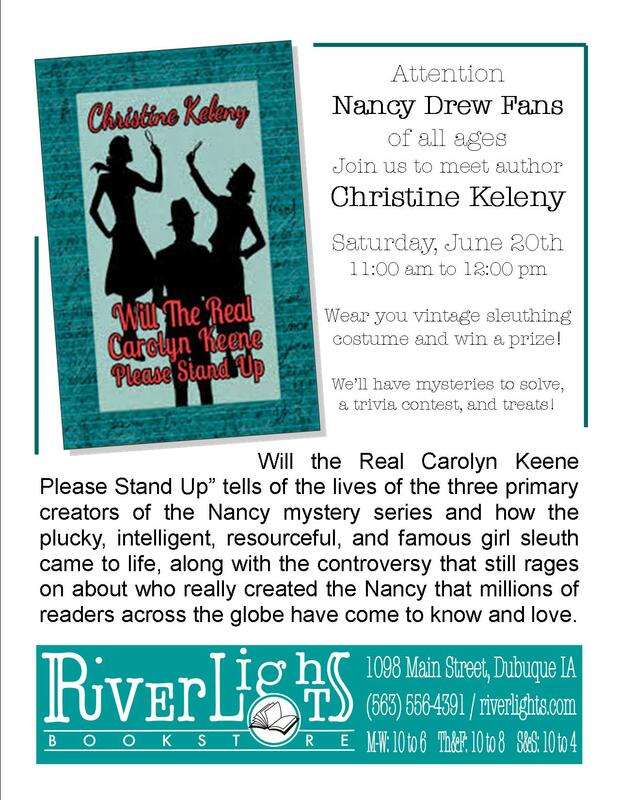 The next chance to win one of my books or some other cool Nancy stuff is at River Lights Bookstore in Dubuque, IA this Saturday. If you can’t make it, share this post with a fellow Nancy lover – they would appreciate it and so would I! Seven year old Olivia Baxter and her dog vanish while playing in the front yard of her family’s home. After a week of searching, Olivia’s body was suddenly found in the closet, even after the police had thoroughly investigated the home. Ethan Franco is a troubled journalist working for the Washington Gazette. His inability to move on from the past has deflated the passion he had for his career, causing him to lose his edge. Frustrated with Ethan Franco, but not wanting to lose his once star journalist, Editor-in-Chief, Jameson Stone assigns him a story to cover as a last chance to prove he could be the reporter he once was. Ethan Franco begins his investigation into the mysterious death of Olivia Baxter and other unexplained disappearances, believing there may be a connection in the cases. No sooner did Franco begin his investigation then he realizes he is being tailed by government agencies. 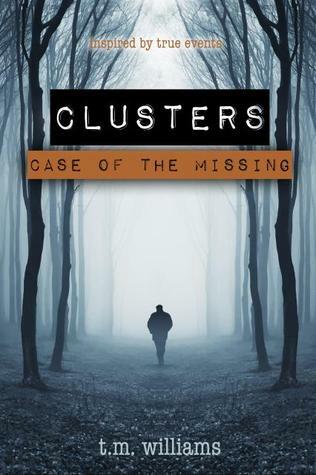 Large footprints in the woods, strange sounds, foul stenches, and a looming government presence become pieces of the puzzle in cases of the missing. Inspired by real events, the author of the Bohemian Grove trilogy and the Apocalypse brings forth a story that has been kept a secret for over a century — a story that a large group of people are still trying to keep under wraps. T.M. Williams began her writing career by accident when a song inspired a story. Once she discovered the writing bug she couldn’t stop. 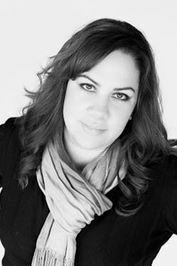 Since starting her writing career late in 2012 she has gone on to write several more novels, including two Amazon best-sellers. She is published by AZ Publishing Svcs. Undead Winter, the novella, is a self-published piece. There is also a giveaway associated with this book, which is current part of a blog tour. So if you’d like a copy of one of William’s other books “Anna Hyde in Jekyll Park,” sign on up by clicking on the link! 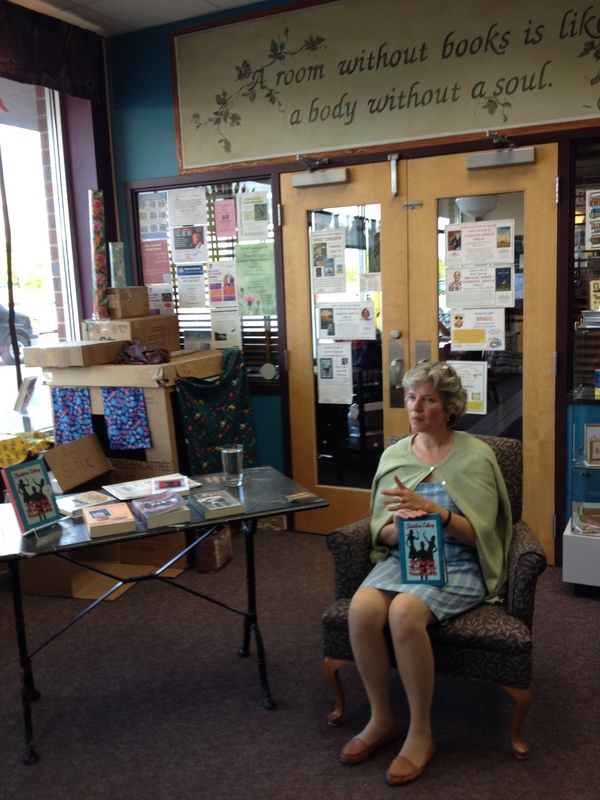 Here I am at the Books and Company book event in Oconomowoc, Wisconsin on Thursday. I’m wearing my Nancy outfit – can you tell? I met with some very nice Nancy fans, and we gave away a copy of “Will the Real Carolyn Keene Please Stand Up” and a store gift certificate with our trivia contest, since I was the only one who dressed up. Saturday, June 20th at 1pm. We will again give away a book and bookstore gift certificate, so pull out those Nancy or Ned Nickerson outfits, brush up on your Nancy trivia and I’ll see you there! p.s. Both are independent bookstores and need your support (just like us indie authors!)! 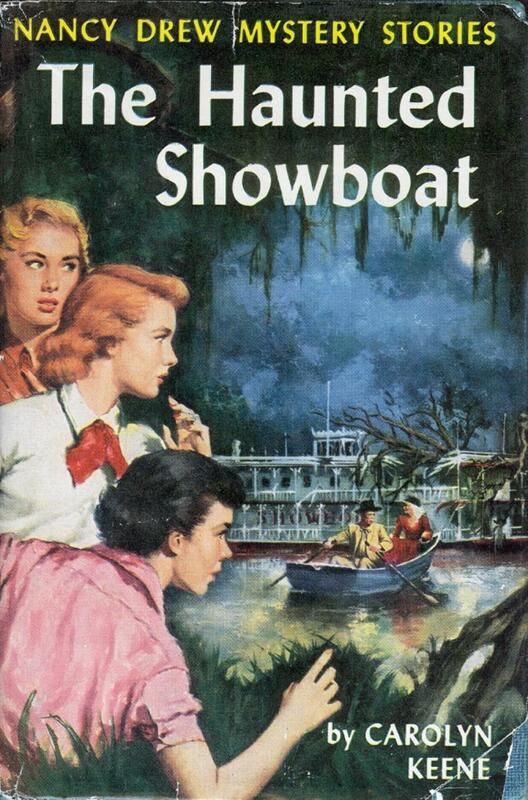 Calling all Nancy Drew Fans! I’m having my first book reading, costume contest and trivia contest at Books and Co. Bookstore tonight. It is at 7 p.m.
Prizes are a signed copy of “Will the Real Carolyn Keene Please Stand Up” and a store coupon. Lesson learned: Never set up a link without checking that it works. So – now with a link that actually works (below) you can see my new site. Sorry for those who actually wanted to see it but couldn’t. I’ll get the other link fixed but as I said, computer lingo is not my thing so I will be recruiting help from the helpful booklaunch folks. I’m sure it was my error not theirs. I’m excited to share my new book site. I’ve used a very helpful service called booklaunch.io to set up a site to put all my books and all my book links in one place. The people who have developed the site were very helpful for a person like me who is not that computer savvy. I know what I know, but there is a lot that I don’t know. That’s why I have a teenage daughter! To celebrate, I am giving away a Free ebook to anyone who signs up for my (very infrequent) e-newsletter. If you don’t have an e-reader, I’ll give away a print book for 50% off the retail price. The sign up is on the christinekelenybooks.com site. My e-newsletter is also new. I wanted a way to get a hold of people who wanted to know about my book sales or other special events. But don’t worry – I won’t send out emails very often. 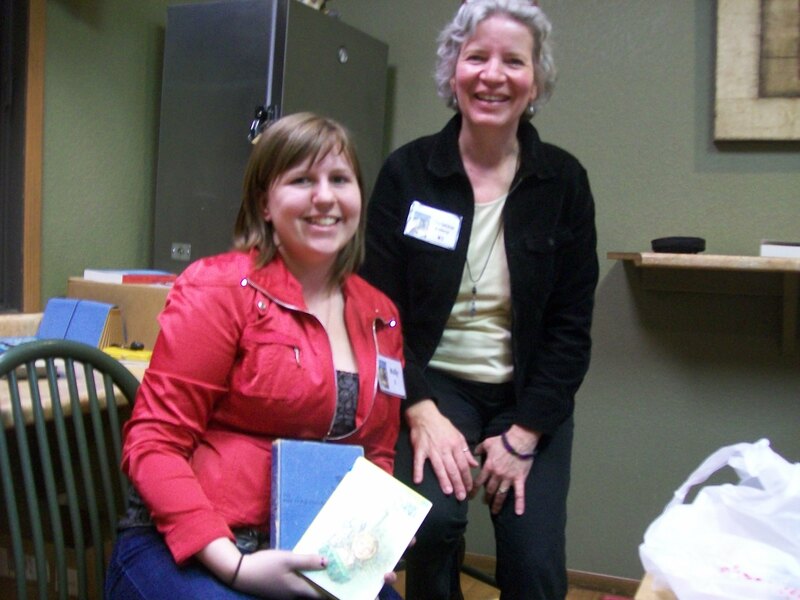 Had a fun time in Iowa this month with a group of Nancy Drew lovers for one of the Nancy Drew Sleuth’s Mini-con’s. 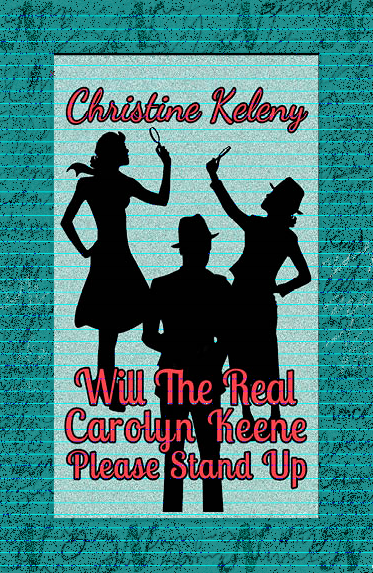 Read from my book: “Will the Real Carolyn Keene Please Stand Up,” (still for just .99!) and got in on their book discussion. 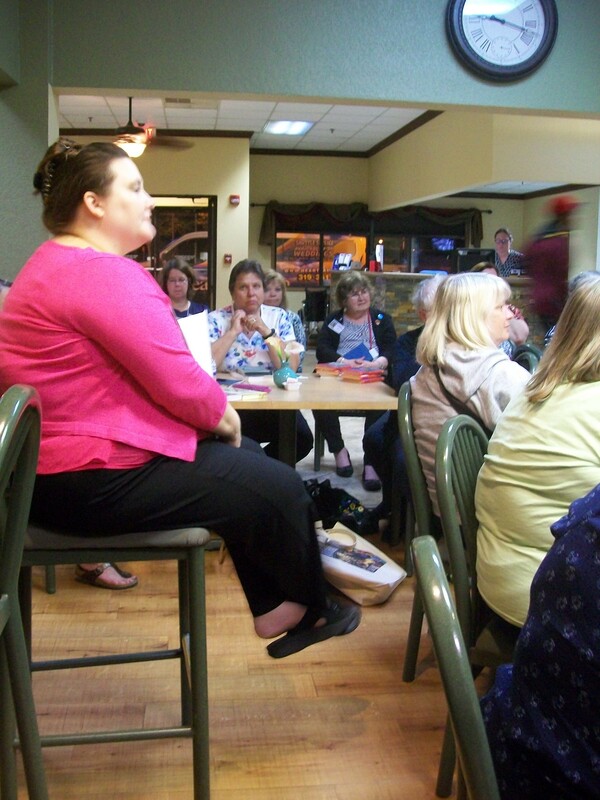 Great group of people lead by the Nancy officianato – Jennifer Fisher of Nancy Drew Sleuths! Want to be the first to know about a book sale, what I’m working on how, or want to add your opinion to the title of my next book (among other things)? Sign up for my Readers group at christinekelenybooks.com. I promise not to fill your inbox. As a thank you, I’ll send you any one of my ebooks absolutely Free!